Guitarist, singer, songwriter, and producer Freddie Nelson came to international attention in 2010 when he collaborated with virtuoso guitarist Paul Gilbert (of Racer X and Mr. Big) on the album United States. Together they wrote, performed, and produced the recording that was released on Mascot Records and toured Japan and Europe shortly after. Nelson, who played his first professional show at age 11, grew up as a working musician in numerous established bands in the Pittsburgh region. 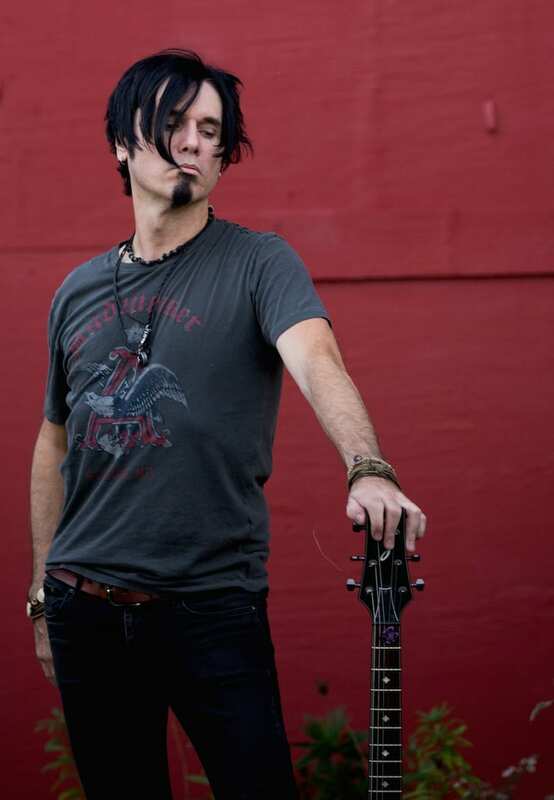 During this time, his main focus was as a guitarist & songwriter, but in 2001 he stepped in front of the microphone and formed the rock band Too Tall Jones with Rusted Root bassist Patrick Norman. As a front man, Nelson’s stage presence is unrivaled and his vocal timbre continuously draws comparisons to the iconic Freddie Mercury. In 2001, Too Tall Jones released BiPolar, and eclectic mix of rock songs ahead of its time, which ultimately caught the attention of Paul Gilbert leading to their initial collaboration and international spotlight. After the success of United States, Freddie began fielding interest as a solo artist. In 2015 began writing and recording songs for his debut solo record, Shake The Cage. During this time, he was again approached by Paul Gilbert to help arrange and write songs for Gilbert’s latest solo release, I Can Destroy, produced by Kevin Shirley. During the course of the recording sessions in Los Angeles, Nelson met world renowned drummer Thomas Lang who, after hearing Nelson’s solo material, volunteered his skills as a drummer for the project. Shake The Cage was released on July 7th, 2017. The album is a collection of eleven hook driven rock songs displaying Nelson’s impressive four octave vocal range and notoriously ferocious guitar playing. Intertwining elements of punk, pop, and blues, Nelson has the uncanny ability to weave memorable melodies alongside intelligent lyrics to create a body of work that appeals to the masses. With unprecedented attention to detail, Shake The Cage is truly a solo effort. All of the writing and producing was done by Nelson as well as all of the musical and vocal performances, with the exception of drums performed by Thomas Lang (Peter Gabriel, Kelly Clarkson, John Wetton, Rod Stewart). The album was mixed by Rob Hill of X Music Studios in Los Angeles, CA and was mastered by Maz Murad at Metropolis in London, England.